If you've been suffering from a dull complexion, it might be time to revamp your skin care routine. While many products line store shelves, some are better than others. Choosing the best moisturizer available can turn a lackluster look into one that is glowing and radiant. Today's lotions and potions do a lot more than simply hydrate skin. For dry, dull skin, a brightening moisturizer leaves behind a radiant, youthful glow. 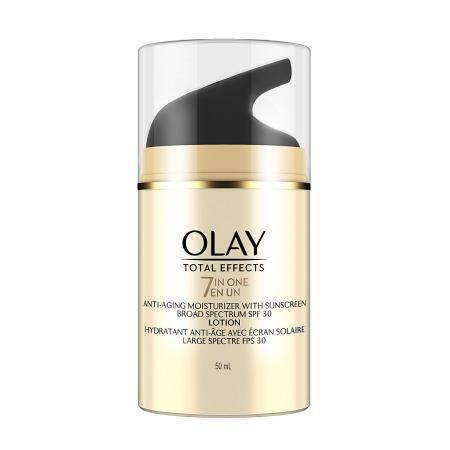 Olay Total Effects Daily Moisturizer (just under $23) is a drugstore favorite that fights seven signs of aging, such as dullness, uneven skin tone and rough texture. The skin-quenching lotion contains vitamin C to brighten dull skin and provide a luminous appearance over time. This was given an Allure Best of Beauty award (the magazine praised how quickly the product absorbed into the skin, added moisture, and reduced the appearance of lines) and has received solid reviews on Beautypedia from experts and users alike. Both enjoyed the inclusion of antioxidants as well as the lightweight formula. 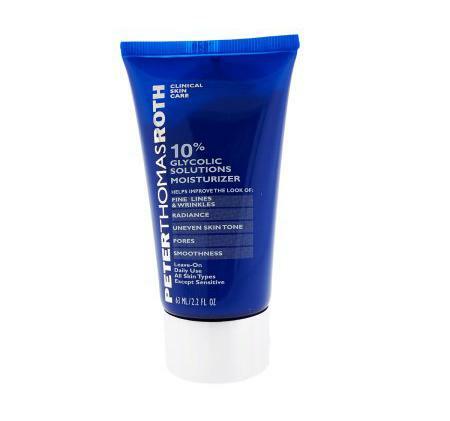 Peter Thomas Roth Glycolic Acid Moisturizer (about $45) contains an ample dose (10 percent) of glycolic acid to smooth an uneven texture, whisk away dead skin cells, and impart radiance to dull skin. With continued use, the skin is refined and clarified, fine lines are smoothed, and dullness disappears. Bonus: vitamins A and E help fight free radical damage. With positive reviews on Influenster (users were impressed with its ability to tighten and brighten the skin), in magazines (beauty editors loved that it dissolved dead cells and brightened the face), and on Women's Blog Talk (they found it to be lightweight and non-greasy), there is no denying the results this product delivers. 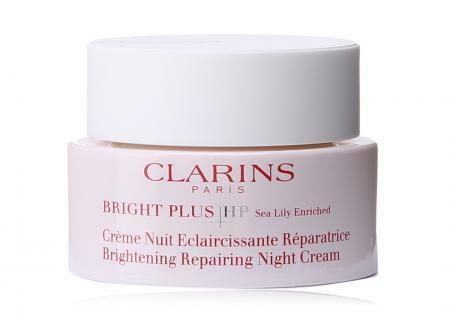 Clarins Bright Plus HP Repairing Brightening Night Cream is perfect if hyperpigmentation is the driving force behind your dull skin. The formula contains white flowers to repair the look of dark spots and leave the skin with a bright, refreshed look. The formula is rich and hydrating, so it's beneficial for drier skin types. An online review praised this night cream for ease of use and the fact that it includes Vitamin C and B8. The daytime version of Clarins Brightening Cream is just as popular, with Total Beauty including it on their list of the best skin brightening products. Find it for about $45 on Amazon. 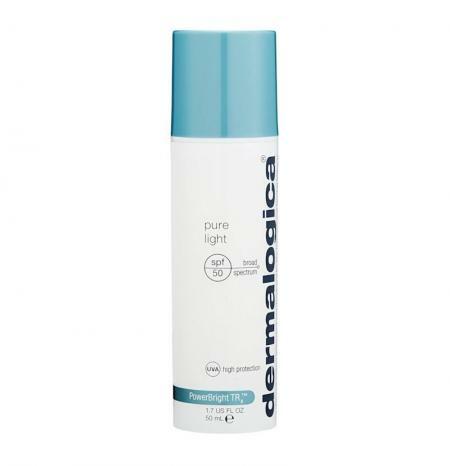 Dermalogica's Pure Light Advanced Broad Spectrum Moisturizer (about $65) protects the skin in many ways, from the ingredient list (it contains brightening must-haves like peptides, minerals, and botanicals) to the built-in SPF. Not only does regular application prevent discoloration caused by sun damage but it balances out an uneven skin tone and reduces the appearance of fine lines caused by dehydrated skin. This product also made The Independant's list of best skin brighteners and was recommended in a Cosmopolitan article for achieving a summer glow. 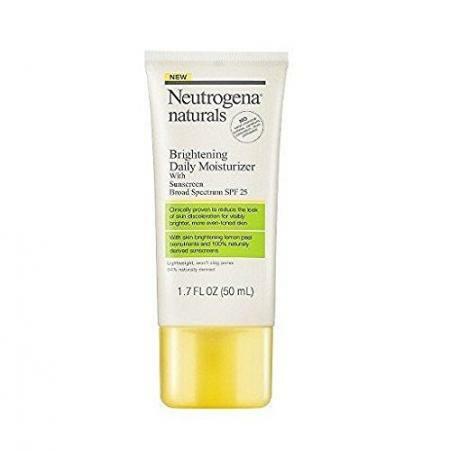 Neutrogena Naturals Brightening Daily Moisturizer stands out for a reason and retails for just under $16. It's lightweight, fast absorbing, has an SPF 25, and does not clog pores. It is derived from natural ingredients like lemon, and doesn't contain dyes, parabens, or chemical sulfates. As a result, skin discoloration is reduced and a brighter and more even tone is achieved in just four weeks. This has received many positive reviews, making a list of Allure's best beauty products as well as being part of Vogue's article on moisturizers that supercharge the skin. 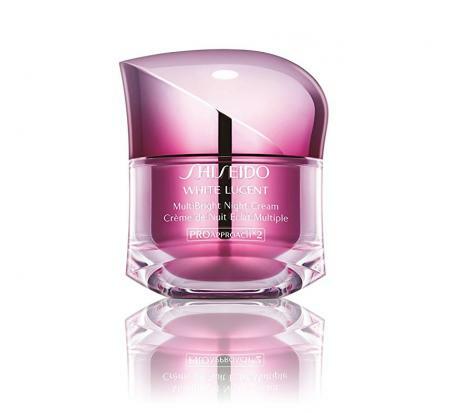 Shiseido White Lucent MultiBright Night Cream is an ideal choice for anyone dealing with dark spots, dryness, or a dull and uneven texture. Thus luxe cream (about $92) focuses on the nighttime cycle of the skin, which means you can wake up to brighter and more hydrated skin each morning. Their SAKURAResist technology works to prevent the appearance of dark spots and discoloration in the future while the MultiBright technology targets discoloration and dullness. Some online reviews of the product praised the hydrated and healthy feeling it gives the skin while other reviewers found it worked well to brighten and diminish acne scarring, sun spots, and other skin imperfections. 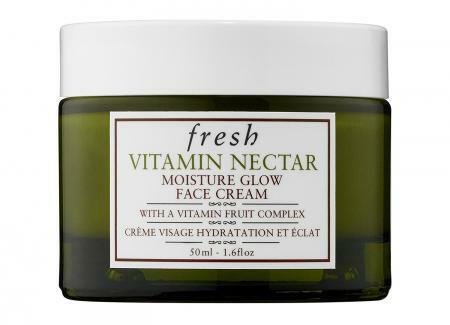 Fresh Vitamin Nectar Glow Face Cream (around $42) has no shortage of devoted fans. Known for its ability to combat dark spots, unevenness, and a dull complexion, this lightweight moisturizer is loaded with vitamins C, E, and B5, along with lemon and orange extract to give the skin a glowing, and brightened finish. There are plenty of positive reviews, including one from The Urban Umbrella, which mentions more luminous skin and a quick absorption time. It also made a list of PopSugar's latest skincare products to try, with the reviewer mentioning the impressive ingredient list and the smooth feeling the product leaves. 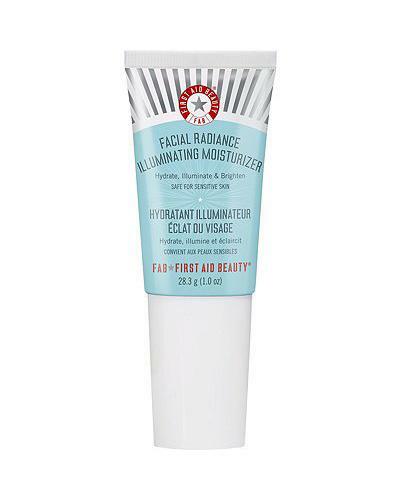 First Aid Beauty Facial Radiance Moisturizer works well for those who have sensitive skin or are prone to allergic reactions caused by face products. This lotion retails for about $34 and is allergy tested, free of artificial colors and fragrances, and works on all skin types. Additionally, it combats dullness, uneven textures, fine lines, wrinkles, and obvious pores, with ingredients like sodium hyaluronate, gatuline radiance, and chromabright. A YouTube review mentioned its ability to add a healthy glow to the skin while other reviewers focused on how hydrating and illuminating the product is. There are a few key ingredients that energize dull, tired skin. Look for these in case the moisturizer doesn't specifically mention brightening on the label. Exfoliation is one of the key processes that helps brighten a dull complexion. It works by sloughing off dead skin cells to reveal brighter, fresher skin underneath. Sometimes this isn't directly mentioned on the moisturizer's packaging, so check the ingredient label for a few specific ingredients. Glycolic acid is an alpha hydroxy acid that exfoliates the top layers of skin to help whisk away dryness, smooth acne scars and lighten any discoloration. Regular use of a moisturizer containing glycolic acid can reveal brighter, more luminous skin over time. Lactic acid is also part of the alpha hydroxy acid family and works similarly to glycolic acid, but is typically gentler on skin and won't cause side effects like redness and peeling. Azelaic acid is another ingredient that appears in many skin care products. It is a dermatologist favorite because it brightens the skin and creates a more even tone by targeting only excess melanin rather than healthy skin. Used topically in moisturizers, vitamin C acts as an antioxidant to fight free radical damage, which can lead to tired, worn-looking skin. It also works to inhibit melanin production and lighten discoloration, which results in brighter, more even skin. Vitamin E is another ingredient to keep a lookout for. According to an article about skin care ingredients, it prevents free radicals from affecting the skin and helps it better absorb other ingredients. If your face looks dull, tired and in need of serious refreshment, consider some of these moisturizers designed to brighten skin to perk up your complexion and give you a radiant, luminous glow. Always be sure to protect your skin from the sun and environment, and nix smoking to keep your skin looking its glowing best.